Draft: 1999, Anaheim Angels, 2nd rd. John went 11-8 with a 3.35 ERA (70 ER/188.1 IP) in 29 starts in his first season with the Cubs ... recorded 20 quality starts and logged a 1.06 WHIP, his lowest single-season mark in his career and sixth-lowest in the N.L. ... Held opponents to a .218 average, by far the lowest mark of his career ... previous best mark was a .246 opponent average in 2006 with the Angels. w His .645 opponent OPS was also the lowest mark of his career ... Allowed a .189 average (21-for-111) with runners in scoring position ... His 3.35 ERA was second-lowest among starting pitchers above the age of 35 ... the Dodgers Rich Hill, age 36, posted a 2.12 ERA ... Went 7-4 with a 2.62 ERA (32 ER/110.0 IP) in 16 starts at Wrigley Field ... was 4-4 with a 4.37 ERA (38 ER/78.1 IP) in 13 road starts ... Started three playoff games, going 0-1 with a 4.85 ERA (7 ER/13.0 IP) ... allowed two runs on three hits in 4.0 innings in Game Four of the NLCS ... His 2.76 ERA (22 ER/71.2 IP) following the All-Star break was almost a full run lower than his 3.70 ERA (48 ER/116.2 IP) in the season's first half ... Four times tossed a season-high 8.0 innings, last done August 9 vs. the Angels ... Walked two or fewer batters in 21 of 29 outings ... Twice fanned a season-high 11 batters: April 18 at St. Louis and May 6 vs. Washington ... Recorded his 2,000th-career strikeout, May 6 vs. Washington, striking out Jayson Werth in the fourth inning. w Is one of eight active pitchers with at least 2,000 strikeouts, joining CC Sabathia, Bartolo Colon, Felix Hernandez, Jake Peavy, Justin Verlander, Cole Hamels and Zack Greinke ... Landed on the 15-day disabled list, August 19 (retro to August 15), with a right shoulder strain ... activated on September 4 ... Posted a 2.09 ERA (10 ER/43.0 IP) in six May starts, striking out 40 and walking 11 ... Recorded 10-straight quality starts, May 1-June 20 ... just the third time in his career he turned that trick ... went 4-2 with a 1.97 ERA (15 ER/68.2 IP) in that stretch ... Made his Cubs debut, April 7 in Arizona, collecting the win in the Cubs 14-6 victory ... allowed six runs in the first 3.0 innings then held the D-backs scoreless in his final 3.0 innings ... Allowed five or fewer hits in a career-high seven-straight starts, May 11-June 14 ... Suffered a career-high five-game losing streak, June 20-July 23 ... Pitched to a 2.22 ERA (11 ER/44.2 IP) and held the opponent to a .197 average in his final seven regular season starts, August 9 through season's end ... Earned his 10th win of the season in his second to final outing, September 21 vs. Cincinnati ... allowed two runs in 7.0 innings. John Lackey went 13-10 with a career-best 2.77 ERA (67 ER/218.0 IP) in 33 starts with the St. Louis Cardinals ... finished ninth in Cy Young Award voting after matching his career high in starts while his 218.0 innings pitched were second-most in his career (highest since his career-best 224.0 innings in 2007). His 2.77 ERA ranked ninth in the National League ... also ranked tied for 12th in wins, sixth in innings pitched and fourth in quality starts. Allowed three runs or fewer in 29 of his 33 starts, ranking second in MLB behind only Zack Greinke (30) ... he allowed two runs or fewer in 16 of his final 21 outings ... posted a career-high 26 quality starts (surpassing 24 quality starts in 2007). Induced 29 double plays, a career-high and tied for the major league lead ... were the most double players induced by a pitcher at least 36 years old since Orel Hershiser in 1997 (31 double plays). Ranked third in the N.L. in fewest pitches per inning with 14.3, the lowest average in his career. Struck out 175 batters, the fourth time in his career he has reached that total and first since 2007. Went 9-4 with a 1.93 ERA (26 ER/121.1 IP) in 17 starts at home compared to a 4-6 record with a 3.82 ERA (41 ER/96.2 IP) in 16 road starts. In 16 starts against N.L. Central opponents, he went 6-3 with a 2.13 ERA (26 ER/109.2 IP), his best mark against any division. At the plate, connected on a career-high seven hits ... had six hits in his career entering 2015. Went 1-0 with a 3.48 ERA (4 ER/10.1 IP) in two starts against the Cubs in the NLDS, including 7.1-shutout frames in Game 1 as he collected the win in the Cardinals 4-0 triumph. Acquired by the Cardinals in a trade (7/31) from Boston, along with minor league LHP Corey Littrell and cash, in exchange for OF Allen Craig and RHP Joe Kelly...Made 10 starts with the Cardinals and 31 overall for the season...Marked his 7th season with 30 or more starts and first since 2010 with Boston (33 starts)...Hurled 198.0 innings, his most since 210.0 IP in 2010 with Boston...Posted his first winning record at 14-10 since 2010 (14-11 with Boston)...Ranked T26th in MLB with 14 wins & T18th with 22 quality starts...Was 4-2 with a 2.90 ERA vs. National League teams...Was 3-2, 3.33 ERA (18 ER/48.2 IP) in his 8 starts vs. N.L. Central opponents...Pitched 6.0 or more innings in 23 of his 31 starts...Went 9-2, 1.63 ERA (104.2 IP/19 ER) in 14 starts of 7.0 IP or more...Has thrown 160.0 or more innings in 11 seasons since 2002, trailing only CC Sabathia (12)...Made his 350th career Major League start vs. CHI on 8/31, only eight active pitchers have more starts (354, 9th)...Earned his 150th career win on 8/3 vs. MIL, a 7.0 inning effort allowing just two runs...Was ejected (Tom Hallion) in the 3rd inning at CIN on 9/10 after 2.0 innings. It was his 4th career ejection and first since 2009...Hurled three scoreless starts with Boston, including a 3-hit no decision over 9.0 IP vs. MIN (6/18) in a 2-1 win (10 inn)...Led the Red Sox and was tied for 7th in the American League with 11 wins at the time of the trade...Struck out 10+ batters twice: 11 vs. NYY (4/23) and vs. BAL (7/5)...Tossed his only complete game of the 2014 season at CLE (6/2) in a 3-2 loss allowing three runs on eight hits...Made two starts in the postseason earning a 1-0 record with a 3.46 ERA...Threw 7.0 innings allowing one run with eight strikeouts in a win vs. LAD (10/6) in Game 3 of the National League Division Series...His eight strikeouts were tied with Lance Lynn for most by a Cardinals pitcher in a 2014 postseason start...received a no decision in his only start of the 2014 NLCS in Game 3 at SF (10/14), tossing 6.0 innings allowing four first inning runs, but none over the next five innings, retiring 16 of final 18 batters...Was hit by pitch for the first time in his career, regular or postseason, during Game 3 at SF. Went 10-13 with a 3.52 ERA (74 ER/189.1 IP) in 29 starts in 2013 after missing the previous season recovering from Tommy John surgery. Recorded his tenth 10-win season since 2003, matching CC Sabathia and Mark Buehrle for the most such campaigns in the AL in that time...Has won 10 games in each of his 10 full ML seasons (2003-11, 2013). Posted a career-high 4.03 SO/BB ratio (161 SO/40 BB) which ranked 7th in the AL and was his highest mark since 2007 (3.44)...It was the highest ratio by a Red Sox since Josh Beckett in 2008 (5.06). Ranked 5th in the AL with a career-low 1.90 BB/9.0 IP ratio, the lowest for a Red Sox Josh Beckett in 2008 (1.76). Issued 1 BB or none in 19 of his 29 starts (66%), the most such starts by a Red Sox in a season since Curt Schilling did it 24 times in 2006...Did not issue a walk in 6 starts, 1 shy of his single-season career high (7 in 2007). His 7.65 SO/9.0 IP rate was the 3rd-highest mark of his career and his highest since 2006 (7.86, 190 SO/217.2 IP)...Struck out 8 or more batters in 7 of his 29 starts on the year after doing it just 3 times in his previous 61 outings with the Sox. Led the staff with 2 CG (8/23 at LAD and 9/19 vs. BAL), his 1st complete games as a Red Sox. Received a team-low 4.18 runs of support per 9.0 IP (88 RS/189.1 IP), the 11th-lowest rate in the AL...Of the 11 times the Red Sox were shut out, he started 6 of those games. Had 19 quality starts (9-6 individual record) and BOS lost in 10 of those games...Allowed 3 ER or fewer in 8 of his losses, trailing only CHI's Edwin Jackson (9) for the most such losses among ML starters. Posted a 2.47 ERA (25 ER/91.0 IP) at home, the 3rd-lowest mark in the AL. Left his 1st start of the season on 4/6 at TOR with a right biceps strain...Was placed on the 15-day DL on 4/10 (retro to 4/7)...Made a rehab start with Double-A Portland on 4/22 vs. Binghamton (3.2 IP, 3 H, 0 R/ER, 2 BB, 5 K)... Activated from the DL on 4/28 and made the start that night vs. HOU. Earned the win on 4/28 vs. HOU, his 1st victory since 8/23/11 at TEX (614 days)...It snapped a career-long stretch of 7 starts without a victory. Recorded a quality start in 4 consecutive outings from 5/19-6/5, his longest such streak as a Red Sox and longest overall since 8/30-9/15/09 with LAA. Did not allow an ER in back-to-back starts from 5/19-24 (.073 AVG, 3 H/41 AB) for 1st time in a single season since a 3-start stretch from 7/2-14/06 with LAA. Made his 300th career start (301st appearance) on 5/19 at MIN, becoming 1 of just 3 pitchers with 300 starts in the AL since 2002. Issued 1 BB or none in a span of 7 consecutive starts (5 BB total) from 6/5-7/7 to match a career high (also done in 2011). Allowed 2 runs or fewer in 6 consecutive games from 6/15-7/12 (2.30 ERA), matching his career-high streak from 5/31-6/29/08 while with LAA. Went at least 6.0 innings in a career-high 15 straight games from 6/15-9/2, the longest such streak by a Sox since Jon Lester did it in 17 in a row from 4/28-7/30/10. Struck out a career-high tying 12 without a walk allowed on 6/26 vs. COL, becoming the 6th Sox since 1916 (20th time) to fan 12 or more without a walk (last Pedro Martinez on 5/3/03 vs. MIN , 12 SO). Snapped a 4-game losing streak with a victory on 8/17 vs. NYY...Recorded 5 assists in the contest, the most by a Sox pitcher since Steve Avery in 1998 (6). With 6.0 innings on 8/5 at HOU, became the 19th active major leaguer to surpass the 2,000-inning milestone. On 8/23 at LAD, became the 1st Sox to lose a complete game while allowing 3 base runners or fewer since Pedro Martinez on 8/8/00 at ANA (3 BR). Tossed a complete-game victory on 9/19 vs. BAL to help the Red Sox clinch a postseason berth...Gave up his 1st hit with 1 out in the 7th inning...It was his 16th career complete game and 2nd this season, also 8/23 at LAD (8.0 IP)...It marked his 1st complete-game victory as a member of the Red Sox, and his 1st overall since 9/10/09 vs. SEA while with LAA. Despite a 2-1 record (3-1 team record), posted a 5.76 ERA (16 ER/25.0 IP) in 4 starts against the Yankees compared to a 3.18 ERA (58 ER/164.1 IP) against all other clubs. Missed entire season while recovering from Tommy John Surgery performed on 11/1/11. Placed on the 60-day DL on 2/21. Tossed 2.0 innings (26 pitches) and struck out 3 batters in an intrasquad game between players in the Red Sox Instructional League at their Spring Training complex in Fort Myers, FL on 9/23. In 2nd season with Boston, finished 3rd on the team in wins (12), starts (28), innings (160.0) and strikeouts (108)...Has tallied at least 10 wins in each season from 2003-11, joining Chicago's Mark Buehrle as the only hurlers with double-digit wins in the AL in each of those 9 campaigns...Is 1 of 5 Major League pitchers to do it overall, joining Ted Lilly, CC Sabathia and Javier Vazquez...His 6.41 ERA (114 ER/160.0 IP) was the highest among Major Leaguers with at least 150.0 innings pitched and the highest ever by a Red Sox hurler with at least as many innings...Among hurlers with at least 150.0 innings pitched, allowed a Major League-high .308 AVG (203-for-660)...Led the Majors with 114 earned runs allowed and 19 hit batsmen, both career highs...Received 120 runs of support for an average of 6.75 runs of support per 9.0 innings (160.0 IP), 3rd most in the Majors among pitchers with at least 120.0 innings after Texas' Derek Holland (7.64) and teammate Jon Lester (6.86)...Held right-handers to a .265 AVG (79-for-298) compared to a .343 mark (124-for-362) to left-handed batters...Began the season with 17 straight decisions (9-8) before his 1st no-decision on 8/1, the 2nd-longest streak of decisions to begin a Red Sox season since 2000 after Tim Wakefield's 26-game streak to begin 2007 (16-10).....It tied for the 3rd-longest decisions streak at any point by an AL pitcher in 2011 after CC Sabathia (23 games, 4/23-8/18) and Justin Verlander (22, 5/29-9/18)...Earned the win in the club's 1st victory of the season on 4/8 vs. NYY, Boston's home opener...Allowed 6 runs over 5.0 innings in the 9-6 win...Notched a season-high 15.0-inning scoreless streak from 4/19 (2nd inning) through 4/30 (2nd inning), his longest scoreless stretch as a member of the Red Sox...Went just 1-2 in 3 starts from 4/19-30 despite compiling a 1.35 ERA (3 ER/20.0 IP)...Threw 8.0 scoreless innings on 4/24 at LAA and earned the 7-0 win...Won his other scoreless outing on 7/9 vs. BAL (6.2 IP), a 4-0 victory...Was placed on the 15-day disabled list on 5/16 (retroactive to 5/12) with a right elbow strain...Made 1 rehab start with Triple-A Pawtucket on 5/31 vs. Norfolk (BAL), allowing 1 run in 5.2 innings...Was activated on 6/5 and won his next 3 starts through 6/17...Struck out a season-high 8 batters on 6/11 at TOR...Went 7-2 with a 3.71 ERA (28 ER/68.0 IP) in 10 starts when recording at least 5 strikeouts...Reached 1,400 K's in his career on 6/29 at PHI...His 1,465 career K's at season's end rank 5th in the AL among active hurlers after Tim Wakfield (2,046), CC Sabathia (1,889), Bartolo Colon (1,668) and Roy Halladay (1,495)...Won 4 of 5 starts in July, his most victories in any month in 2011, despite posting a 4.61 ERA (14 ER/27.1 IP)...Earned the win a career-high 6 straight decisions over 7 starts from 7/9-8/17...In that span, posted a 3.92 ERA (19 ER/43.2 IP) and 34 strikeouts compared to just 7 walks...Won 4 consecutive starts from 7/9-27, with a 2.52 ERA (7 ER/25.0 IP) in that time...Was his longest such streak since winning 4 starts in a row for the Angels from 7/12-29/09 and matched Boston's longest such streak of the season (also Lester, 4/17-5/3)...Lasted at least 6.0 innings in a season-high 6 straight starts from 8/1-30, tied for the 2nd-longest such streak by a Red Sox hurler in 2011 after Josh Beckett's 10-game run, 5/9-7/3...Threw 125 pitches over 6.2 innings in a loss on 8/17 vs. TB...Marks his 2nd-most pitches ever in a game after a 131-pitch outing, 8/9/09 with LAA vs TEX (6.2 IP). Led the Red Sox with 33 starts, 215.0 innings and 21 quality starts in his 1st season with the club...Finished tied for 4th among AL leaders in starts, 8th in innings and tied for 8th in quality starts...Had the most innings pitched for a Boston hurler since Tim Wakefield in 2005 (225.1 IP) and most quality starts for a Sox righty since Pedro Martinez and Curt Schilling each recorded 22 in 2004...Placed 2nd on the team with 156 strikeouts, behind Jon Lester's 225...Was his 1st 150-strikeout, 200.0-inning campaign since 2007...Joined Jon Lester (7) as the only Sox hurlers with multiple double-digit strikeout games, recording a seasonhigh 10 K's on both 8/23 vs. SEA and 10/3 vs. NYY...14 wins were 3rd on the team behind Jon Lester (19) and Clay Buchholz (17), and tied for 15th in the AL...Finished among AL leaders in hits (3rd, career-high 233), runs (T-4th, 114) and earned runs (T-5th, career-high- tying 105) allowed...Matched career high with 72 walks (also 2006)...Was 11-5 in 18 starts at Fenway Park, tied for 2nd in the AL (4 others) in home wins behind Detroit's Justin Verlander (12)...Led AL with 16 decisions at home...Won 7 straight home starts from 4/24-6/29, the longest such run in the AL in 2010...Tallied a 12-6 record with a 3.89 ERA (68 ER/157.1 IP) in 24 night starts compared to 2-5 with 5.77 mark (37 ER/57.2 IP) in 9 day outings...Tied for 5th in AL in night wins and tied for 9th in night win percentage...Lasted at least 6.0 innings in a team-high 28 starts, tied for the 4th in the AL...Went 5.0 frames or more in 30 of his 33 outings, tied for 9th in the league...Was winless in 10 of his 21 quality starts and received no more than 1 run of support in 6 of his 11 defeats overall on the season...Was 5-1 with a 2.98 ERA (19 ER/57.1 IP) in 8 starts against the AL West compared to 9-10, 4.91 (86 ER/157.2 IP) vs. all other clubs...Tossed 6.0 scoreless innings against the Yankees in his Red Sox debut on 4/7 at Fenway Park, a no-decision...Became the 1st pitcher to record a scoreless outing of at least 6.0 innings in his Boston debut since Hideo Nomo's 9-inning no-hitter at BAL on 4/1/01 and the 1st to do it against the Yankees since Zane Smith on 5/14/95 at home...Also became the 1st pitcher ever to begin a season with the Red Sox after beating them during the previous postseason (2009 ALDS Game 1)...Earned his 1st victory in a Red Sox uniform in his 2nd start, 4/14 at MIN (2 ER/6.2 IP), the Twins 1st loss at Target Field...Won all 3 starts with a 3.38 ERA (8 ER/21.1 IP) against his former club, 1 of 3 pitchers to defeat the Angels 3 times in 2010...Notched a 5-game win streak over 7 starts from 5/26-6/29, matching his career high for the 4th time...Posted a 3.72 ERA (19 ER/46.0 IP) during the run...Went 4-0 with a 3.86 ERA (17 ER/39.2 IP) in June, the only AL hurler to make at least 6 starts and go undefeated in the month...Notched a career-high 2 hits at the plate on 6/23 at COL, including a double, his 1st extra-base hit...Made 250th start of his career on 7/4 vs. BAL (L 1-6, 4 R/3 ER, 7.1 IP)...Tallied a 3.97 ERA (45 ER/102.0 IP) over 15 starts in the 2nd half after posting a 4.78 ERA (60 ER/113.0 IP) in 18 starts prior to the All- Star break...Improved his strikeout and walk rates after the break, from 5.42 K's per 9.0 innings in the 1st half to 7.76 after and 3.66 walks per 9.0 to 2.29...Recorded a 3.38 strikeout-to-walk ratio after the break, 4th best among AL hurlers with at least 15 2nd-half starts...Issued 3 or less walks in a season-high 11 straight starts to end the year, 8/7-10/3...Pitched 7.2 hitless frames on 7/22 at SEA before allowing a single to Josh Bard with 2 out in the 8th...Yielded 1 run (0 ER) on 2 hits in 8.0 IP and left with a 6-1 lead but was denied the win when the bullpen allowed 5 runs in the 9th...Was his deepest in a game without allowing a hit since 7/29/08 at BOS while with LAA (8.1 IP)...Earned 10th win of the year at Angel Stadium on 7/27 (2 ER/7.1 IP), joining Nolan Ryan (7/6/89 with Texas) as the only former Angels with over 100 victories with the club to win their 1st game back in Anaheim as a member of the opposition...Lost a career-high 4 straight starts from 8/29-9/17. Ranked among LAA pitching leaders in strikeouts (2nd, 139), wins (T-3rd, 11), innings pitched (3rd, 176.1) and starts (27)...Finished 3rd among AL qualifiers with a 2.11 ERA (14 ER/59.2 IP) in day games and 10th with a 3.80 ERA (38 ER/90.0 IP) on the road...Allowed 3 earned runs or less in 11 of last 15 regular season starts to lower ERA from 4.93 to 3.83...Including 3 postseason starts, went 9-5 with a 2.91 ERA (42 ER/130.0 IP) over his final 19 outings...Began the season on the DL for the 2nd straight year, this time due to a strained right forearm (placed on the DL on 3/27)...Appeared in 2 rehab starts for Triple-A Salt Lake before making season debut on 5/16 at TEX...Hit Ian Kinsler with his 2nd pitch and was ejected from that game...Pitched 7.0 innings or more in 17 of 27 starts, going 9-3 in those contests...Threw 9.0 shutout innings in a 10-inning, 1-0 victory over OAK on 7/19 (9 IP, 3 H, 1 BB, 6 SO)...Tossed 9.0 innings in a 10-inning, 2-1 win over KC on 9/5...In next start, logged a complete-game, 5-hit shutout vs. SEA on 9/10, his 8th career shutout...Collected his 1st Major League hit with a 4th-inning RBI single at SF on 6/15 after going hitless in his 1st 27 Major League at-bats...Recorded his 100th career victory on 8/30 vs. OAK, joining Chuck Finley, Nolan Ryan, Frank Tanana and Mike Witt as the only 5 pitchers to win 100 games for the Angels. Completed season with 12-5 record, three complete games and 3.75 ERA (163.1 IP - 68 ER) in 23 starts...Began season on 15-day disabled list due to strained right triceps...Placed on DL, March 26 (retro to March 21) and activated May 14...Marked first time on DL in career...Struck out career-best 12 batters, Sept. 21 at Texas (6 IP)...At one stretch of contest, struck out seven straight batters, one shy of Angels' and AL record...Was first pitcher to fan seven in a row in a game played under AL rules (with a designated hitter) since Boston's Pedro Martinez did it against Twins Aug. 16, 2002...Tossed three complete games (May 25 at Chicago, July 29 at Boston & Aug. 26 vs. Oakland), tying career-best (2006)...Struck out Kevin Youkilis in fourth inning, July 18 vs. Boston, for No. 1,000 in career...Defeated Boston, 6-2, July 29 at Fenway Park...No-hit Red Sox for 8.1 innings, the deepest he has pitched without allowing a hit in career...Single by Dustin Pedroia broke up no-hit bid...Youkilis followed with two-run home run...Became first Angel to record complete game victory at Fenway Park since Chuck Finley, Aug. 17, 1990 (1-0 score)...Allowed career-high 15 hits, July 10 at Texas (5.2 IP), equaling club record set by Paul Hartzell, Sept. 9, 1976 at Kansas City (8.2 IP)...Pitched 2.2 innings Sept. 26 vs. Texas, marking shortest outing of career...Allowed 10 runs in game, a career-high... Named A.L. Pitcher of the Month for June, posting 5-0 record and 1.16 ERA (38.2 IP 23 H, 6 R, 5 ER, 2 HR, 7 BB, 34 SO)...Marked second monthly honor of career (July, 2006)... Won five straight decisions (5 starts; June 6-29, 2008), equaling longest win streak of career (5; May 11-June 1, 2007 - 5 starts)...Finished 5-0 in June, marking first 5-0 month and second five-win month (5-1 in July, 2006) of career...Dropped 4-3 decision, Aug. 31 vs. Texas, marking first within division since April 18, 2007 at Oakland (snapped 10-game AL West win streak). Complete season with 19-9 record with two complete game shutouts and a 3.01 ERA (224 IP - 75 ER) in 33 starts...Led club in wins (19), ERA (3.01), starts (33), innings pitched (224) and strikeouts (179)...Led AL with career-best 3.01 ERA becoming first Angel to win ERA title since Frank Tanana in 1977 (2.54 ERA)...19 wins marks career high and ranked tied for second in AL...Also ranked fourth in innings pitched (224), ninth in winning percentage (.679), tied for first in shutouts (2) and tied for ninth in fewest walks per 9 IP (2.1)...Threw career-high 224 innings, marking third straight season and fourth overall with 200+ innings pitched in career...With 19 wins, joins Kelvim Escobar (18) to form the first Angels duo to each notch 18 wins since 1991 when Jim Abbott (18), Finley (18) and Langston (19) accomplished the feat...Tossed complete game shutout, Aug. 27 at Seattle (6-0 score; 9 IP, 7 H, 5 SO)...Marked second complete game and shutout of season (both at Seattle)...Was 4-0 with a 0.58 ERA vs. Mariners this season (31 IP - 2 ER)...Tossed first complete game and shutout of season, July 31 at Seattle (8-0 score; 9 IP, 7 H, 3 BB, 5 SO)...Was selected to first career All-Star team and represented Angels and American League at Mid-Summer Classic July 10 in San Francisco...Did not appear in game...With 11 wins at All-Star Break, joined Kelvim Escobar (10) as first Angel duo with 10+ wins at break since 1991 (Mark Langston & Chuck Finley - 12 each)...Equaled career-best 11 strikeouts, July 7, 2007 at New York (8 IP; 2nd time)...Won career-best five straight decisions (five starts), May 11-June 1...Became Major Leagues first 10-game winner...In last 13 road starts, was 11-3 with two complete game shutouts and a 2.54 ERA (102.2 IP - 29 ER)...Was 10-1 with a 2.18 ERA (90.2 IP - 22 ER) vs. the AL West...Limited opponents to three earnedruns or less in 27 of 33 starts...Pitched into seventh inning-or-later in 22 starts (13-6 record)...Allowed 18 home runs in 224 innings pitched (0.72 per 9 IP)...Walked 52 batters (2 IBB) and struck out 179 (1.58 BB & 5.42 SO per start)...Posted four wins each in April and May...Angels were 23-10 in his starts...Missed scheduled start, June 24 vs. Pittsburgh, due to tendinitis right shoulder...Reached 1,000 career innings pitched, May 22 at Detroit...Recorded 800th career strikeout, May 11 at Texas (Brad Wilkerson)...Made second Opening Day start of career, April 2, 2007 vs. Texas...Posted 4-1 win (5 IP, 4 H, 1 R, 0 ER, 1 HR, 4 BB, 1 IBB, 5 SO, 1 WP)...In first such outing, dropped 6-3 decision, March 30, 2003 vs. Texas (5 IP, 8 H, 5 R, 5 ER, 2 HR, 2 BB, 2 SO). Lackey earned July's American League Pitcher of the Month Award after posting a 5-1 record with a 2.08 ERA. The stretch included a near-perfect game against the A's on July 7 in which Lackey allowed a leadoff double and then retired 27 straight. He also threw a shutout against the Devil Rays on July 14 in which he allowed five hits and struck out 10. He had a scoreless streak of 30 2/3 innings snapped on July 19 against the Indians. Lackey finished fifth in the American League with a 3.56 ERA and went 13-11. He struck out a career-best 11 against the A's on Sept. 28 and allowed just four hits in eight scoreless innings during the game. He led the Angels and was sixth in the AL with 217 2/3 innings pitched, a career best. Lackey was third in the AL with 190 strikeouts. He held batters to a .246 average, the lowest mark of his five-year career. He had 23 quality starts, which led the Angels. Lackey signed a two-year contract extension with a club option for 2009 before the season. The deal guarantees Lackey $17.01 million over the life of the contract, with a $500,000 buyout of the option. Completed season with 14-5 record, one complete game and a 3.44 ERA (209 IP - 80 ER) in 33 starts in 2005 ... Among AL leaders, ranked second with 8.6 strikeouts per nine innings (Johan Santana), third with 199 strikeouts, third with 18 wild pitches and tied for fifth in ERA ... .737 winning percentage ranked third in league ... Led club in ERA (starter) and strikeouts ... 14 wins equals career high (2004, 14-13) ... Angels were 22-11 in his starts ... Reached 200 innings for second time in career and set career best of 209 innings ... Allowed home run to Javy Lopez on Aug. 25 at Baltimore -- marked first HR allowed in 62 innings ... Was longest current streak in Major Leagues at time and was third-longest overall in 2005 (Willis, FLA - 79 2/3, Brown, NYY - 65 2/3) ... Won career-best four straight decisions (seven starts), July 17-Aug. 19 ... Went 8-1 with one complete game and a 2.57 ERA (98 IP - 28 ER) in 15 starts after All-Star break ... Fell one strikeout shy of becoming first Angels starter with 200 strikeouts since Chuck Finley in 1999 ... Tallied at least six strikeouts in 17 of last 22 starts ... Opened season with 1-1 record and 8.22 ERA (15 1/3 IP, 18 H, 14 ER, 8 BB, 12 SO) after three starts ... Equaled career-best 10 strikeouts on May 21 at Los Angeles Dodgers (6 1/3 IP) and July 17 at Minnesota (7 IP) ... Worked into sixth inning or later in 30 of 33 starts. Posted 14-13 mark with one complete game, one shutout and a 4.67 ERA (198.1 IP - 103 ER) in 33 games (32 starts)...Led club in hits allowed (215) and hit batters (8)...Won 11 of last 17 decisions...At home, was 7-5 with 3.48 ERA (93 IP - 36 ER)...Is 19-12 with 3.53 ERA (252.1 IP - 99 ER) at home in career...On road, was 7-8 with 5.72 ERA (105.1 IP - 67 ER) and is 14-21 with 5.33 ERA (258.1 IP - 153 ER) in career...One of two Angels with a complete game and shutout (Jarrod Washburn)...Led club with two CGs and two shutouts in 2003...Made first regular season relief appearance of professional career, June 27 at Los Angeles (1 IP, 1 H, 1 SO)...Was suspended five games and fined an undisclosed amount for intentionally throwing at Toronto's Simon Pond in sixth inning after warning was issued earlier in game, May 24 at SkyDome...Dropped appeal and served suspension, June 22-26...Won three straight starts, April 27-May 7...Complete game shutout came May 7 vs. Tampa Bay (9 IP, 3 H, 1 BB, 3 SO)...Marked low-hit game of career...Allowed hits in double digits three times...Walks high was six and strikeout best was career-high 10, Sept. 15 at Seattle...Limited opponents to three earned runs-or-less 19 times...Angels were 16-16 in his starts. Spent fifth professional season with Angels, marking first full season in major leagues...Completed campaign with 10-16 record, two complete games, two shutouts and a 4.63 ERA (204 IP- 105 ER) in 33 starts...Led club in losses, starts, complete games, shutouts, hits allowed (223), earned runs allowed, walks (66), strikeouts (151) and wild pitches (11)...16 losses marked most by an Angel since 1996 (Jim Abbott, 2-18 & Chuck Finley, 15-16) and most by a right-hander since Kirk McCaskill (10-19) in 1991...Marked most wild pitches by an Angel since Chuck Finley (15) in 1999 and most by a right-hander since Jason Grimsley in 1996...Tied for league lead in shutouts...Ranked fourth in AL in losses, tied for fifth in home runs allowed (31), tied for third in wild pitches, seventh in earned runs allowed, 10th in strikeouts per nine innings pitched (6.7) and seventh in runs allowed (117)...Made first Opening Day start of major league career in 2003...Dropped 6-3 decision, March 30 vs. Texas...Became third youngest Angel starter to pitch on Opening Day at 24 yrs., 5 months and 7 days...Marked fourth straight Opening Day start as professional (single-A Cedar Rapids in 2000, double-A Arkansas in 2001 & triple-A Salt Lake in 2002)...Was victorious in previous three openers...Angels were 12-21 in his starts... Limited opposition to three earned runs-or-less in 19 of 33 starts, including last nine outings...Walked season high four batters five times...Registered career best nine strikeouts, July 30 vs. New York, equaling the high by an Angel in 2003...Set Angels' season highs in runs allowed inning (7), hits allowed game (12), innings pitched starter (9-twice), fewest hits allowed in complete game (4) and consecutive scoreless innings starter (22, June 21-July 8)...Tossed first career complete game and shutout, July 2 vs. Texas (5-0 score; 9 IP, 4 H, 8 SO, 110 pitches - 72 strikes)...Second such effort came in final start of season, Sept. 24 vs. Seattle (4-0 score; 9 IP, 5 H, 2 BB, 4 SO, 109 pitches - 70 strikes)...Became first Angel to throw two shutouts in a season since Finley in 1994 and first right-hander to do so since Julio Valera in 1992...Pitched into seventh inning or later in 16 of 33 starts...Bullpen blew just one lead all season and allowed eight of 19 inherited runners to score...Best ERA month was Sept. (2.65)...Finished 8-6 with a 3.57 ERA at home and 2-10 with a 5.96 ERA on the road...Was 7-8 with a 4.99 ERA prior to the All-Star Break and 3-8 with a 4.13 ERA after. Anaheim's first overall pick in 1999 draft...In 2002, tied for league lead in shutouts (2)...Became first rookie pitcher to win a Game 7 of the World Series since Babe Adams for the 1909 Pittsburgh Pirates...Lackey's Game 7 hat was sent to Cooperstown...Tossed first career complete game shutout, July 2, 2002 vs. Texas (5-0 score; 9 IP, 4 H, 8 SO, 110 pitches - 72 strikes)...In 2000, was named Angels' Minor League Pitcher of the Year, going 15-9 with four complete games, one shutout and 3.15 ERA (188.1 IP-66 ER) with single-A Cedar Rapids, single-A Lake Elsinore and double-A Erie...Is 41-24 with 11 complete games, four shutouts and a 3.75 ERA (556.1 IP - 232 ER) in 87 lifetime minor league outings...Was member of 1999 Junior College World Championship team at Grayson County College in Denison, TX...Posted 10-3 record and 4.23 ERA as a pitcher and .428 average with 15 home runs and 81 RBI as a hitter. Started season at triple-A Salt Lake...Was 8-2 with 2.57 ERA (101.2 IP - 29 ER) in 16 starts...Won final seven decisions (11 starts) at Salt Lake, posting a 2.14 ERA (71.1 IP - 17 ER) over that span...Was scheduled to participate in MLB Futures Game as part of 2002 All-Star Weekend in Milwaukee prior to second recall, June 28, replacing Al Levine (15-day DL) on roster...Rated as Angels' third best prospect in 2002 by Baseball America and Best Pitching Prospect of the Pacific Coast League...Moved into Anaheim's starting rotation, June 30 (replaced LHP Scott Schoeneweis who was moved to bullpen) and ultimately was winning pitcher in Angels' AL Wild Card-clinching victory, Sept. 26 at Texas...Nine wins and 3.66 ERA ranked 4th best among AL rookies...Angels went 12-6 in his starts...Was originally recalled from Salt Lake between games of doubleheader, June 24, replacing RHP Brendan Donnelly on roster, and optioned following game...Made major league debut as a starter, June 24 at Texas (2nd game), dropping 3-2 decision (7 IP, 6 H, 3 R, 3 ER, 1 HR, 1 BB, 6 SO)...Became third Angel to make major league debut in 2002 (Brendan Donnelly - RHP & Alfredo Amezaga - INF)...Was sixth Angels' pitcher to appear as a starter in 2002, the last AL team to use more than five starters in '02...Allowed more than four earned runs once in first 18 ML starts (5; Sept. 11 vs. Oakland) and pitched into sixth inning-or-later in 13 of the 18 starts...Limited left-handers to .208 (41/197) clip, 10th best in AL - yet allowed right-handers to bat .317 (72/227), highest average against in AL...Posted two three-game win streaks, Aug. 27-Sept. 16 & Aug. 5-16...Registered first major league victory, defeating Odalis Perez and Los Angeles, 5-1, June 30 at Edison Field (6 IP, 5 H, 1 R, 1 ER, 3 BB, 1 SO, 1 HB)...Tossed first career complete game, a 4-2 setback, Aug. 22 at New York. Became first rookie pitcher to win a Game 7 of the World Series since Babe Adams for the 1909 Pittsburgh Pirates...Lackey's Game 7 hat was sent to Cooperstown...Tied for fewest career wins (9) for a pitcher who started and won the final game of a World Series (Whitey Ford - 1950)...Was only fourth pitcher since divisional play began in 1969 to win Game 7 of World Series on three days rest, joining Oakland's Ken Holtzman (1973), Minnesota's Frank Viola (1987) and Minnesota's Jack Morris (1991)...Became the first rookie pitcher to start a Game 7 since Jaret Wright in 1997 with Cleveland and just the eighth rookie overall to start a seventh game of a World Series...Allowed one run on four hits in five innings of work (1 BB, 4 SO, 86 pitches) in Game 7, leaving contest with 4-1 lead...Lone run scored on Reggie Sanders' sacrifice fly to score Benito Santiago in second inning to put Giants up 1-0...Made three appearances in World Series (2 starts)...Led staff with 12.1 IP during Fall Classic...Started Game 4 of World Series, Oct. 23 in San Francisco, recording no decision in Anaheim's 4-3 loss (5 IP, 9 H, 3 R, 3 ER, 3 BB, 3 IBB, 2 SO 95 pitches)...Became fifth pitcher to start a World Series Game on his birthday (turned 24) and first since the Dodgers' Tim Belcher won Game 4 in 1988 on 27th birthday...Held Giants scoreless through first four frames before allowing three-straight hits to lead off fifth inning, with all three coming around to score...Pitched in relief of starter Kevin Appier (2+ IP) in Game 2 of World Series, Oct. 20 at Edison Field...Worked 2.1 innings allowing his first two runs of the post-season on two hits (1 IBB, 1 SO - 26 pitches...Did not receive decision in Anaheim's 11-10 win...Defeated Brad Radke and Minnesota, 7-1, in Game 4 of 2002 ALCS (7 IP, 3 H, 7 SO - 79 pitches, 55 strikes)...Marked first career post-season victory...Limited Twins to three singles...Did not allow a runner to reach second base...Left contest leading, 2-0...Made first post-season appearance and first relief appearance of career in Game 3 of 2002 Division Series vs. New York (3 IP, 3 H, 1 BB, 3 SO - 51 pitches)...Entered game in third inning, trailing, 4-1...Allowed both inherited runs to score and left contest in sixth inning trailing, 6-4...Angels rallied to win game, 9-6...His two wins tied Ramon Ortiz for most victories among Angels starters in post-season and his 2.42 post-season ERA led Anaheim starters...Along with Francisco Rodriguez (5) and Brendan Donnelly (1), the three rookies accounted for eight of Anaheim's 11 post-season wins. Overall in 2001, compiled 12-11 record and 4.48 ERA (185 IP - 92 ER) with four complete games (including two shutouts) in 28 starts...Began third professional season in Anaheim organization at double-A Arkansas, posting 9-7 record with three complete games and 3.46 ERA (127.1 IP - 49 ER) in 18 starts...Allowed 106 hits and 29 walks with 94 strikeouts...Ranked fifth in Texas League in ERA and tied for second in complete games and shutouts (2)...Strikeouts total led Travelers...Longest outing was nine innings three times: April 17 at Wichita, May 14 vs. Tulsa and July 1 at Round Rock...Strikeout high was nine, April 17 at Wichita...Pitched shutouts, April 17 at Wichita (9 IP, 2 H, 3 BB, 9 K) and July 1 at Round Rock (9 IP, 4 H, 0 BB, 8 K)...Participated in Texas League mid-season All-Star Game...Pitched into seventh inning-or-later in 13 of 18 starts (8-4 record)...Limited opponents to three earned runs-or-less in 10 of 18 starts...Walked three batters-or-less in 17 of 18 starts (most was four, June 21 vs. Tulsa)b&Allowed hits in double digits just two timesb&Allowed just two hits twice: April 5 vs. Wichita (8 IP) and April 17 at Wichita (9 IP)...Registered 3-4 record and 3.21 ERA (62.1 IP - 22 ER) in nine home games as opposed to 6-3 mark and 3.70 ERA (65.2 IP - 27 ER) in nine road games...Opponents hit .227 (106/466) against him, including .224 by left-handers and .229 by right-handers...Average against included .213 (65/305) with bases empty, .167 (1/6) with bases loaded, .225 (23/102) with runners in scoring position and .172 (10/58) with RISP & two outs...Opponents hit .274 (20/73) against him in first inning as opposed to .161 (30/186) over next three innings...Promoted to triple-A Salt Lake, July 9...Posted 3-4 record with one complete game and 6.71 ERA (57.2 IP - 43 ER) in 10 starts...Pitched complete game victory, Aug. 25 vs. Omaha, allowing one run on four hits and one walk with five strikeouts...Strikeout high was eight, July 24 vs. Edmonton (7 IP)...Pitched into seventh inning-or-later in 6 of 10 starts (3-2 record)...Limited opponents to three earned runs-or-less in two of 10 starts...Walked three batters-or-less in 9 of 10 starts (most was five, July 12 vs. Iowa)...Allowed hits in double digits twice...Low-hit game was two, July 17 at Edmonton (6.1 IP)...Opponents batted .322 (75/233) against him, including .323 (32/99) by left-handers and .321 (43/134) by right-handers. Split time in second professional season between single-A Cedar Rapids, single-A Lake Elsinore and double-A Erie...Combined, posted 15-9 record with four complete games, one shutout and 3.15 ERA (188.1 IP - 66 ER) in 28 starts...Allowed 56 walks and struck out 138...Totals for games played, innings, strikeouts and wins represent career bests...Named Angels' organization's Minor League Pitcher of Year...Began season at Cedar Rapids, posting 3-2 record and 2.08 ERA (30.1 IP - 7 ER) in five starts...Longest outing was 7.1 innings, April 22 vs. Clinton...Strikeout high was seven, April 11 at Clinton (Game 2), in five innings...Selected as Angels organization and Kernels Player of Month for April...Transferred to Lake Elsinore, May 1...Compiled 6-6 record with two complete games, one shutout and 3.40 ERA (100.2 IP - 38 ER) in 15 starts...Longest outing was nine innings, June 27 at High Desert (loss)...Second complete game was seven-inning shutout, May 13 at Mudville, in first game of doubleheader (3 H, 1 BB, 6 K)...Recorded 10 strikeouts (8 IP), June 22 vs. Lancaster...Struck out nine batters twice: May 3 at Rancho Cucamonga (7.2 IP) and July 2 at Visalia (8 IP)...Registered five straight wins, May 13-June 14...Promoted to Erie, July 20...Posted 6-1 record with two complete games and 3.30 ERA (57.1 IP - 21 ER) in eight starts for SeaWolves...Struck out career-high 11 batters, Aug. 5 at Altoona...Threw complete game wins, Aug. 5 at Altoona (8 H, 1 R, 1 ER, 0 BB, 11 K) and Aug. 31 at Harrisburg (5 H, 1 R, 1 ER, 0 BB, 8 K)...Picked up five straight wins, July 23-Aug. 20. Began professional career at rookie-level Boise, posting 6-2 record with one complete game and 4.98 ERA (81.1 IP - 45 ER) in 15 starts...Ranked second in Northwest League in games started and walks (50), third in complete games and fourth in strikeouts (77)...Pitched nine-inning complete game, Aug. 9 vs. Spokane (6 H, 1 R, 0 ER, 1 BB, 7 K)...Struck out season-high eight batters four times. November 2, 2017 RHP John Lackey elected free agency. July 18, 2017 Chicago Cubs activated RHP John Lackey from the 10-day disabled list. July 6, 2017 Chicago Cubs placed RHP John Lackey on the 10-day disabled list. Right foot plantar fascitis. September 4, 2016 Chicago Cubs activated RHP John Lackey from the 15-day disabled list. August 19, 2016 Chicago Cubs placed RHP John Lackey on the 15-day disabled list retroactive to August 15, 2016. Right shoulder strain. December 8, 2015 Chicago Cubs signed free agent RHP John Lackey. November 2, 2015 RHP John Lackey elected free agency. August 1, 2014 St. Louis Cardinals activated RHP John Lackey. April 28, 2013 Boston Red Sox activated RHP John Lackey from the 15-day disabled list. April 22, 2013 Boston Red Sox sent RHP John Lackey on a rehab assignment to Portland Sea Dogs. April 10, 2013 Boston Red Sox placed RHP John Lackey on the 15-day disabled list retroactive to April 7, 2013. Strained right biceps. November 2, 2012 Boston Red Sox activated RHP John Lackey from the 60-day disabled list. February 22, 2012 Boston Red Sox placed RHP John Lackey on the 60-day disabled list. Recovering from November 2011 Tommy John surgery. June 5, 2011 Boston Red Sox activated RHP John Lackey from the 15-day disabled list. May 31, 2011 sent RHP John Lackey on a rehab assignment to Pawtucket Red Sox. May 16, 2011 Boston Red Sox placed RHP John Lackey on the 15-day disabled list retroactive to May 12, 2011. Right elbow strain. December 16, 2009 Boston Red Sox signed free agent RHP John Lackey. 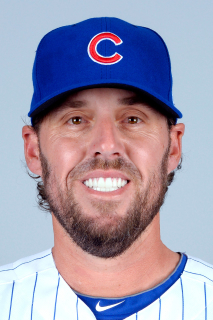 November 5, 2009 RHP John Lackey elected free agency. May 16, 2009 Salt Lake Bees placed RHP John Lackey on the reserve list. May 16, 2009 Los Angeles Angels activated RHP John Lackey from the 15-day disabled list. May 5, 2009 Los Angeles Angels sent RHP John Lackey on a rehab assignment to Salt Lake Bees. April 5, 2009 Los Angeles Angels placed RHP John Lackey on the 15-day disabled list retroactive to March 27, 2009.